Let’s celebrate His love today! Happy Valentine’s day! On a day like today I want to take a moment to meditate on my God’s faithful and unconditional love, a love that never fails, a love that sustains every other kind of love there is in this world. His mercy sustains me day and night, keeps me grounded during trying times and is with me throughout my sleepless nights. Today most of all I want to celebrate His love for me! 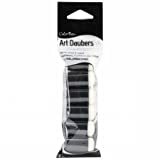 I am sharing a card I showed briefly a few days ago, together with it’s supplies. I must admit this card ended up looking very lovely, especially because of the color palette I worked with. One of my cardmaking weaknesses is pink and in this case combining it with beige linen cardstock and a bit of distressing to darken the edges made the color stand out in a very organic way. I decided to create a doily frame using Cheery Lynn Designs English Tea Party die and embellished it with handmade flowers created with the new Botanical Rose and Botanical Wings by Heartfelt Creations. I love how the doily frame makes this card look. I think it gives the card lots of texture. This particular doily die cut looks so much like real doilies! I enjoyed making this card very much, and I hope I have inspired you too! All the supplies used to make this card are linked below. I wish you all a blessed weekend surrounded by your loved ones. 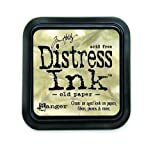 Clearsnap / Ann Butler Blog Hop + Prizes! This is a beautiful card. Love how the flowers frame and put the attention on the verse. This is stunning. Beautiful verse. Oh, Gracie, this is gorgeous! And I so LOVE this Scripture verse!! What a blessing that God loves us so much to have given His only Son for us!! He is faithful always, and what a joy that He allows us to create, as He did, beauty with the gifts and things He has given us! 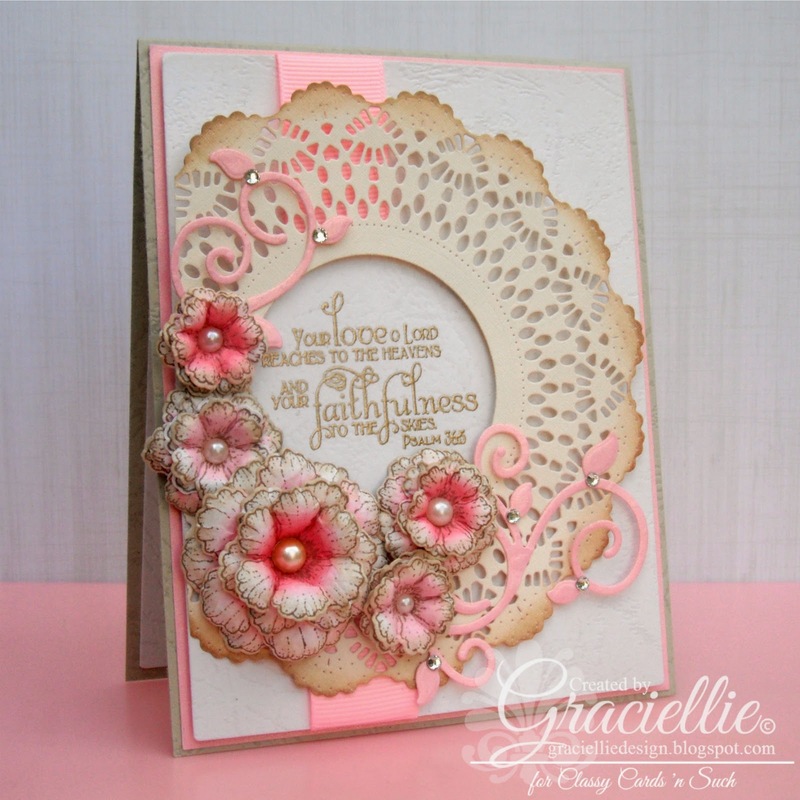 Stunning card with the beautiful doily and gorgeous flowers! Happy Valentine's Day, sweet friend, and praise God He has brought us together as friends! Hugs! Gracie, I love everything about this card. The colour palette, the beautiful doily, the very meaningful verse and of course the stunning flowers. Gorgeous card! 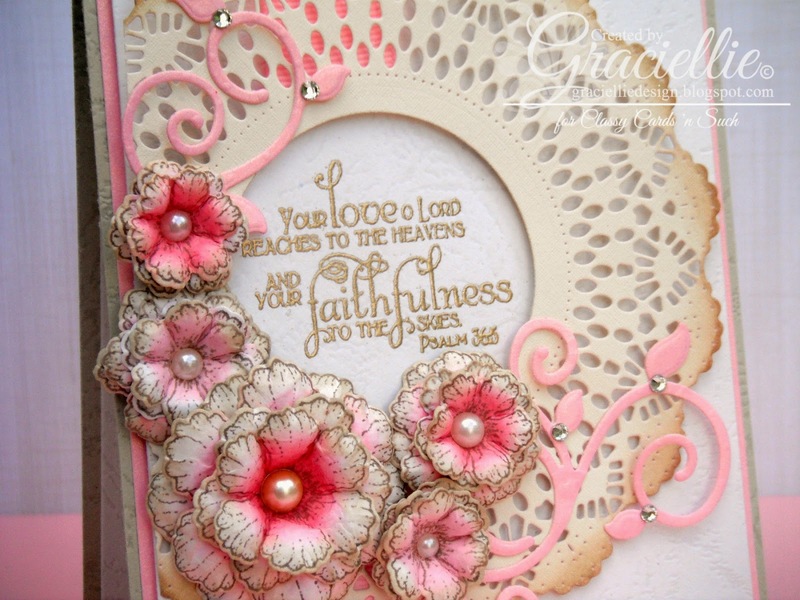 A really pretty card Graciellie, love the texture and layout too.